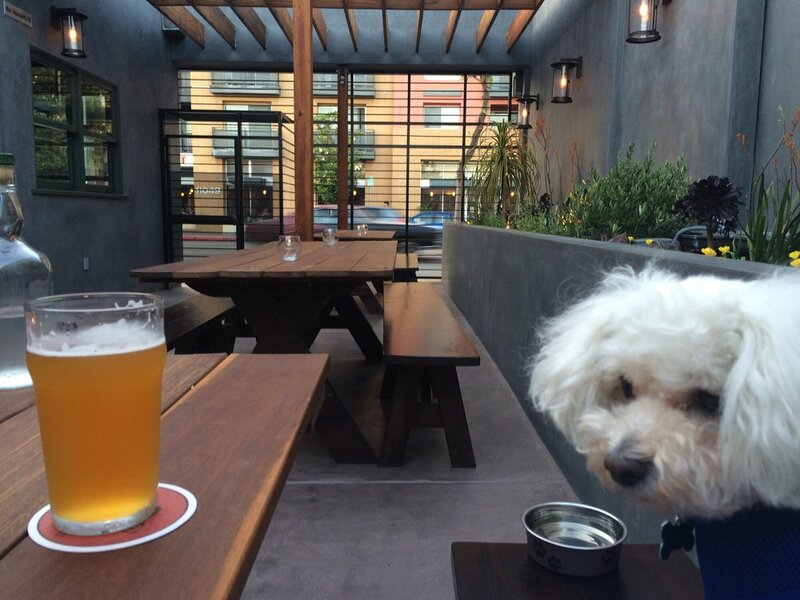 7 Spots to Grab a Drink Outside with Your Four-legged Friend in LA! Because you shouldn’t have to choose between being a responsible pet owner and a cold beer, we scouted the city to find the best places to enjoy both. 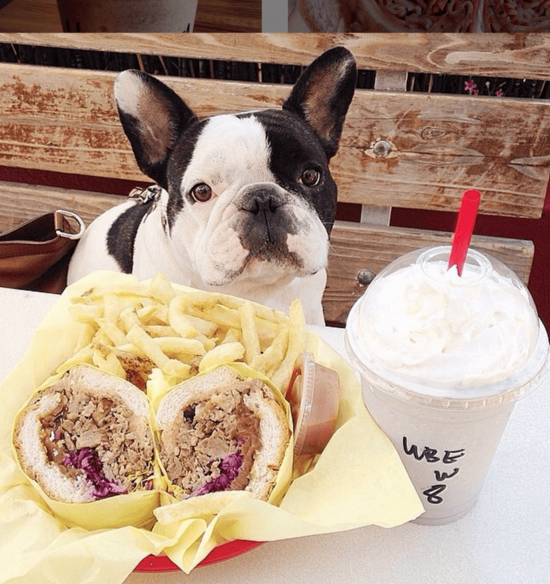 Here are the top 7 spots to drink outdoors in Los Angeles without having to leave your furry friends Behind! These include everything from ice-cold water bowls and doggy decks to free, made-in-house pet treats and complementary dog washes! Check out these places and put them on your bucket list! 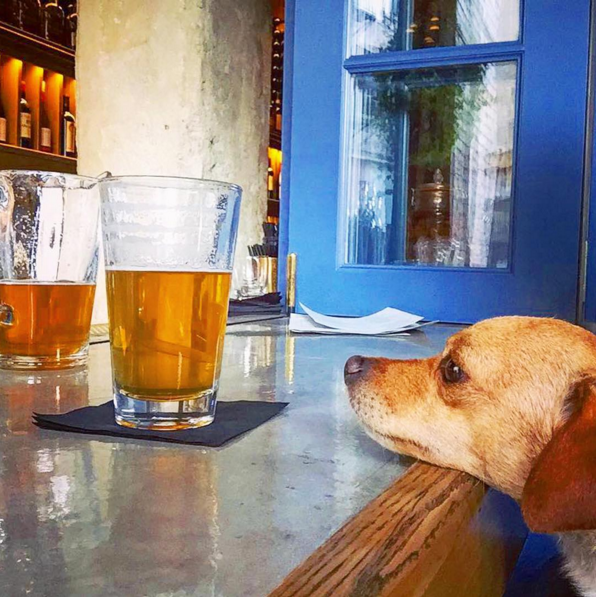 Both the original Eagle Rock location along with the new Hollywood one offer dog-friendly patios where your little fuzzy friend can sip from water bowls while you drink all the beer your heart desires. Want something to pair with those mouthwatering drinks? The Oinkster also serves delicious burgers, fries and other American classics made with fresh and irresistible ingredients. With a dedicated “Doggy Deck” where your pup can enjoy stretching out under the sun while you relax with a massive pint, this is the perfect place neither you or your beloved pet will ever want to leave. 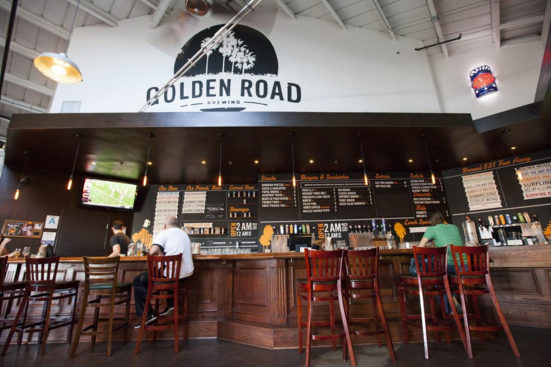 The Golden Road’s beer is crafted from only the freshest ingredients and perfectly completes the variety of zesty treats for both you and your pet! Water bowls and doggie biscuits made from the grain used to brew the beer are available to keep tails wagging and both you and your pup in paradise. Home Restaurant provides the luxury of home sweet home with an outdoor patio that is so comfortable you will think you haven’t even left the comfort of your own couch. However, does your home have free, organic doggie treats, stunning courtyards, and a menu full of scrumptious options? Didn’t think so. With our dog-friendly staff, incredible brunches, and a menu of generous portions, you and your dog will never want to leave your new home here at Home Restuarant. This brewery not only has a mesmerizing patio where man’s best friend can sunbathe the hours away, but also has a sprawling indoor area open to endless tail-wagging friends looking for great food and fun. With water bowls provided and frisbees for sale, prepare to find your new favorite LA getaway. 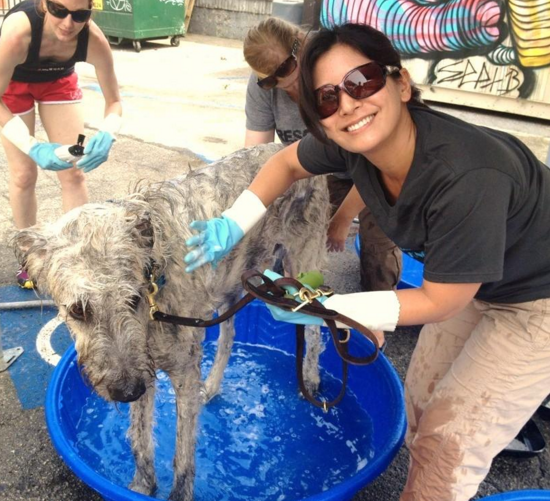 In addition to all the excitement listed above, every month the brewery hosts “Barks, Bubbles, and Brews,” which converts the outdoor space into a dog-washing party and fundraiser for Much Love Animal Rescue. You enjoy a refreshing beer, your dog gets groomed, and a dog charity benefits: everyone wins! 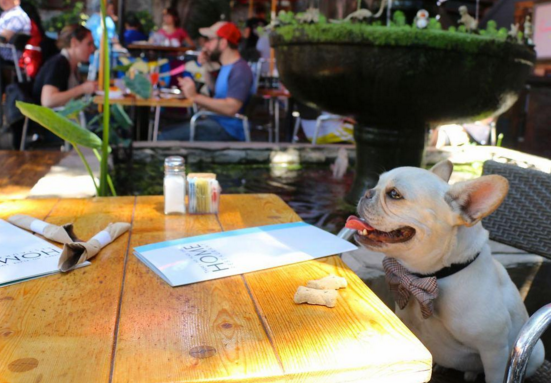 This Downtown bar caters well to smaller dogs who like water bowls and humans who like alcohol. So basically anyone and everyone, right? It offers a creative Southern-inspired menu with many unique vegan options. Their unbeatable “You Must Be Happy (Hour)” takes place 4-7 PM Mon-Fri and 3-7 PM Sat & Sun with addictive $4 snacks and extravagant drinks for only $5. Looking for well-covered patios that are available as the perfect backdrop for you and your energetic pups? This busy K-town joint is undoubtedly the place for you. 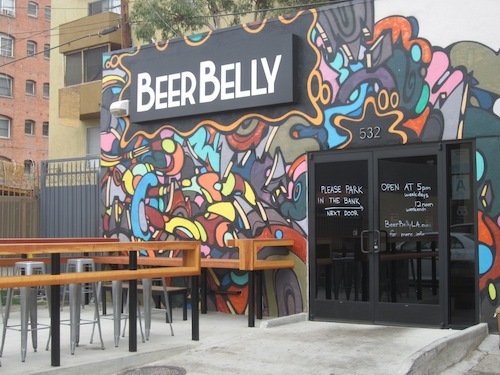 The crew at Beer Belly is absolutely dog-friendly and sometimes the owners bring their furry friends too, so prepare for both you and your doggie to make some new friends. This restaurant also serves you with its impeccable selection of crafty brews, duck meatballs, and Buffalo wings! The dog-themed restaurant will make your shaggy bestie feel right at home with themed wallpaper, paintings, photos, literally everything! It provides a cozy patio where you can wind down with your pup until 7PM. Did we mention Whiskey Wednesday? $12 whiskey plus a draft beer of your choice. Oh, and as great as this deal sounds, don’t let the puppy dog pout get through to you. This deal’s only for you.